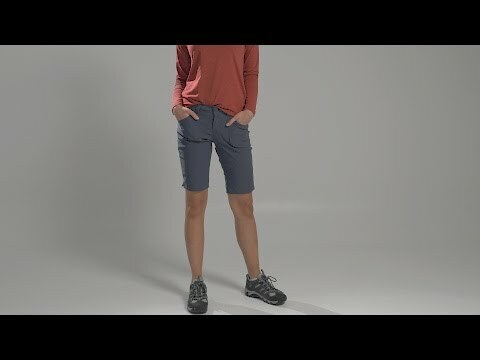 Lightweight and super stretchy technical shorts for hiking and backpacking. Internal drawcord and belt loops let you perfect the fit in the waist, while the gusseted crotch increases your range of motion as you duck and dodge obstacles on the trail. Made of a stretchy, quick-drying nylon and spandex blend with a DWR (durable water repellency) finish to shed water and dirt. Fabric provides UPF 50+ protection. Belt loops and internal adjustable drawcord at waist. Side zippered pocket on seam and zippered back pockets keep your stuff safe when you're active.